Anchor Bay Entertainment and The Weinstein Company just announced the home entertainment release of the dystopian thriller, The Giver, based on Lois Lowry’s young adult novel of the same name. The story of “The Giver” centers on Jonas (Brenton Thwaites), a young man who lives in a seemingly ideal, if colorless, world of conformity and contentment. 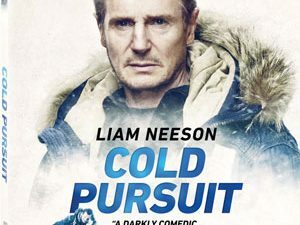 Yet as he begins to spend time with The Giver (Jeff Bridges), who is the sole keeper of all the community’s memories, Jonas quickly begins to discover the dark and deadly truths of his community’s secret past. With this newfound power of knowledge, he realizes that the stakes are higher than imagined – a matter of life and death for himself and those he loves most. At extreme odds, Jonas knows that he must escape their world to protect them all—a challenge that no one has ever succeeded at before. The release will also include ”Jeff Bridges Presents The Original Script Reading” featuring Lloyd Bridges. You will also find the Featurette ”Making The Giver: From Page to Screen” on the release, along with ”Ordinary Human”, a featurette with OneRepublic’s Ryan Tedder. Further, the release will include Author Lois Lowry on The Giver as well as a Bonus Study Guide. Additionally, the Blu-Ray Combo Pack also includes exclusive footage from a Press Conference With Filmmakers & Cast. 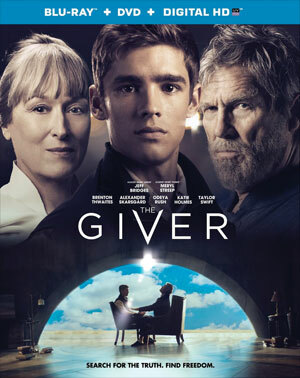 “The Giver” will be released on DVD for $29.98 and as a Blu-Ray/DVD Combo Pack with Digital HD Ultraviolet for $39.99 in time for the holidays on November 25.